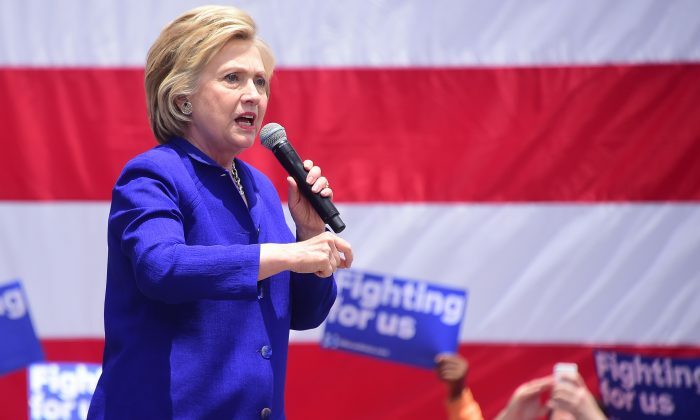 Presumptive Democratic nominee Hillary Clinton responded to Donald Trump, who criticized President Obama and Clinton, calling on them to describe the shooter in the Orlando attack as a “radical Islamic” terrorist. Clinton continued, saying that she wasn’t going to “demonize” or “declare war on an entire religion” because that would play into the hands of ISIS. One day after the shooting, both Clinton and Trump are scheduled to speak about the tragedy after giving initial reactions via Twitter and interviews. Their initial reactions have already shown stark contrasts in their approach. “What has happened in Orlando is just the beginning. Our leadership is weak and ineffective. I called it and asked for the ban. Must be tough,” he said in a tweet. Trump was also met with criticism after he commented on Twitter: “Appreciate the congrats for being right on radical Islamic terrorism, I don’t want congrats, I want toughness & vigilance” a few hours after the attack on Sunday. Appreciate the congrats for being right on radical Islamic terrorism, I don’t want congrats, I want toughness & vigilance. We must be smart!